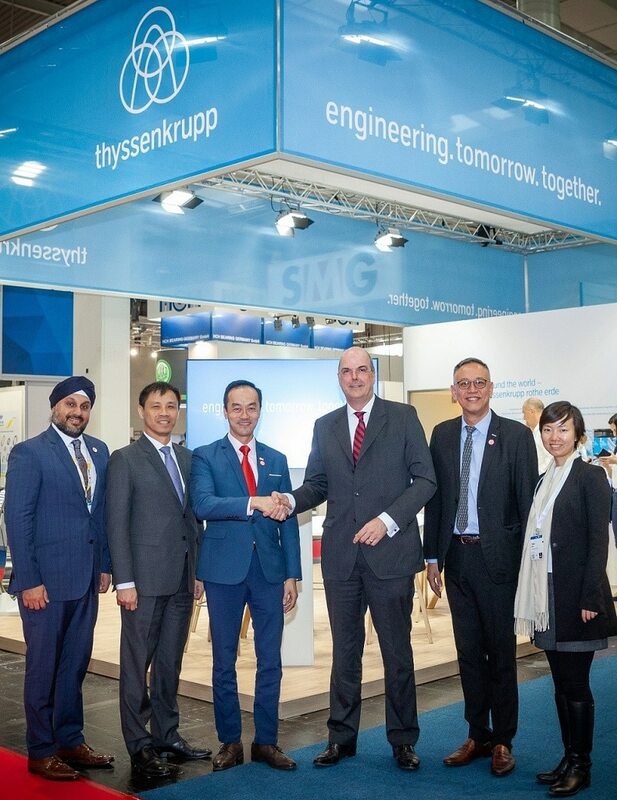 thyssenkrupp AG, the German multinational conglomerate with traditional strengths in materials, announced its initiative to establish an Additive Manufacturing TechCenter Hub in Singapore this year. The company will direct its engineering expertise and innovation capabilities to customers in Asia Pacific region. The announcement was made at the recently concluded Hannover Messe 2019, one of the world’s leading trade fair for industrial technology. This new TechCenter will take cue from the company’s Mülheim TechCenter (Germany) for additive manufacturing established in 2017. It has capabilities to deliver the full spectrum of the additive manufacturing value chain. This upcoming TechCenter supported by the Singapore Economic Development Board (EDB), aims to unlock the potential of additive manufacturing, also known as 3D printing, for customers in Singapore and across Asia Pacific. It will act as a regional hub for its Mülheim TechCenter. According to the Global Additive Manufacturing Market, Forecast to 2025”, Frost & Sullivan, May 2016, the APAC region is expected to grow to more than $5.5 billion by 2025. The Research, Innovation and Enterprise 2020 or RIE2020 Plan of Singapore, has identified additive manufacturing as one of the key factors to focus on to drive its leadership in advanced manufacturing and engineering. Both the TechCenters, in Germany and Singapore, will work in close collaboration to focus on innovations around additive manufacturing solutions in metal and plastic technologies for customers in automotive, capital goods, chemical, mining and other heavy industries. It will provide a complete range of additive manufacturing services from part identification diagnostics, project delivery to training and capability building. About thyssenkrupp AG: thyssenkrupp AG is a technology group with traditional strengths in materials. The company is based in Duisburg and Essen and divided into 670 subsidiaries worldwide. It is one of the world’s largest steel producers.